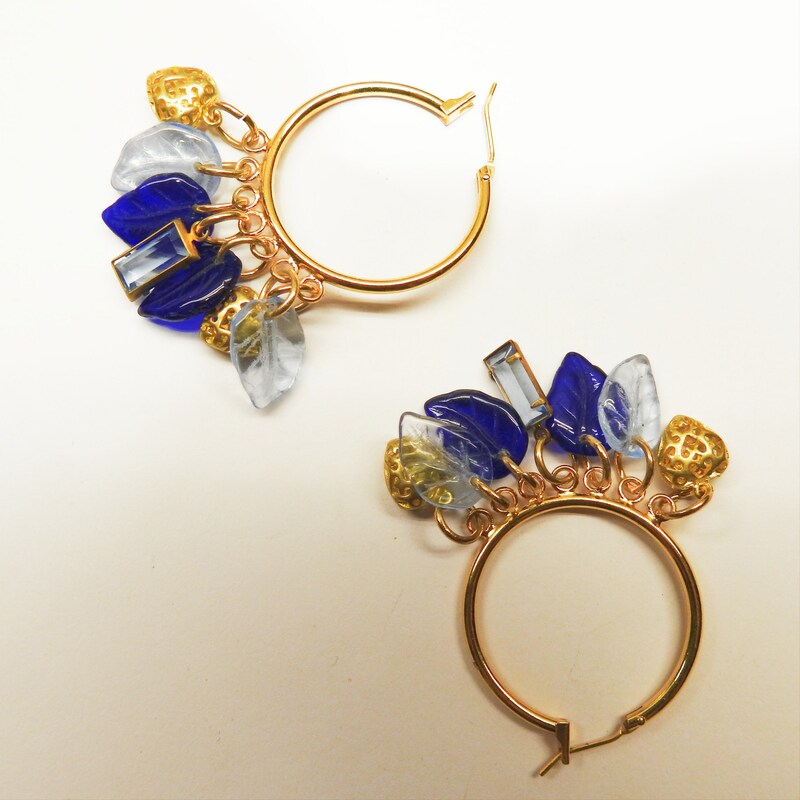 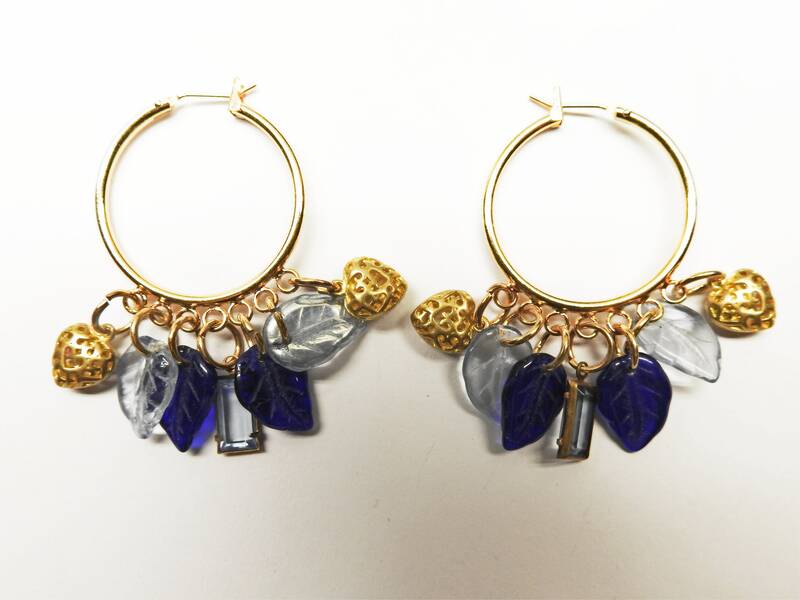 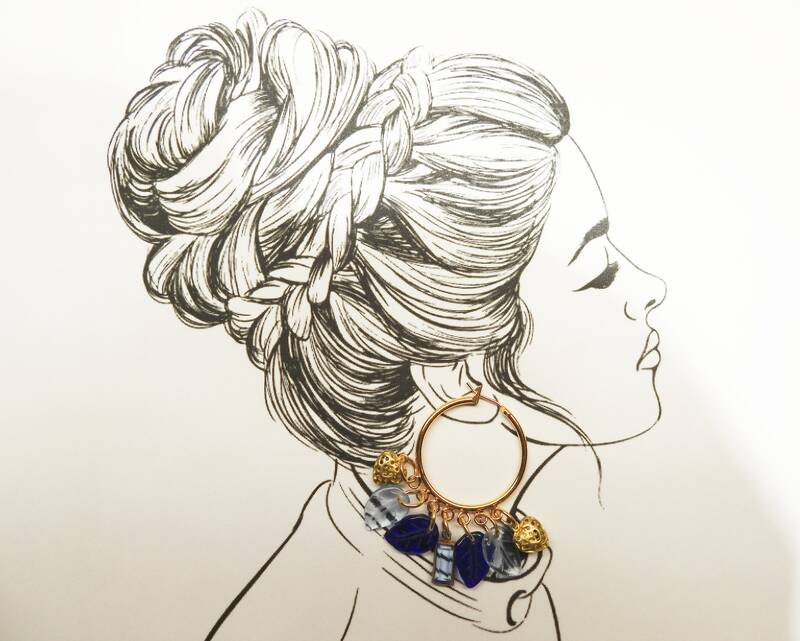 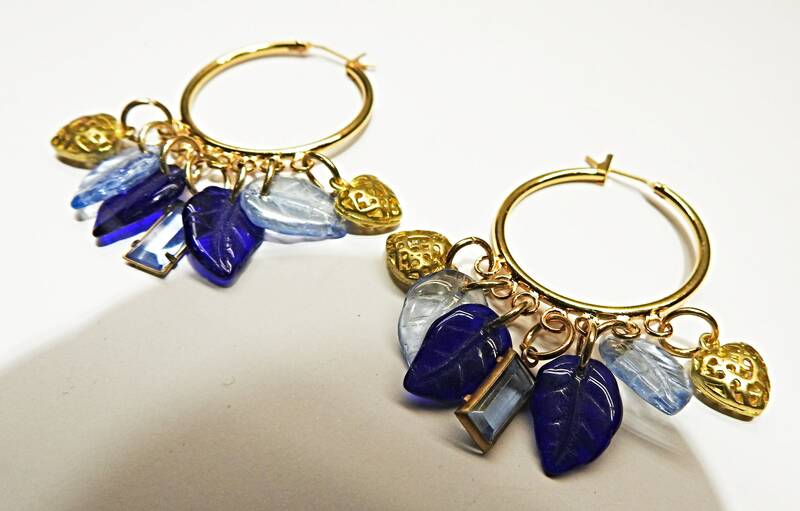 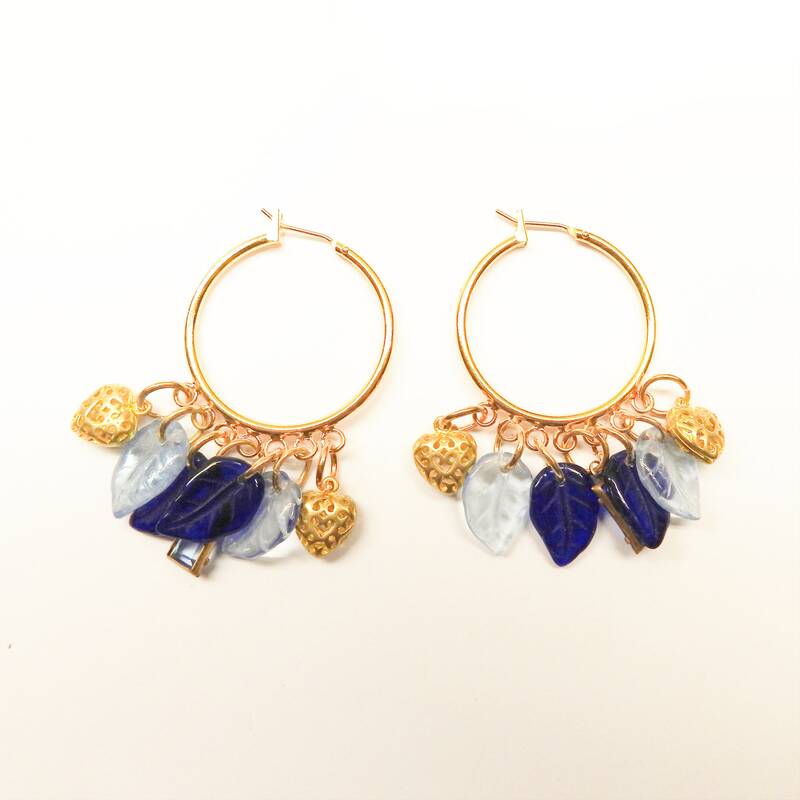 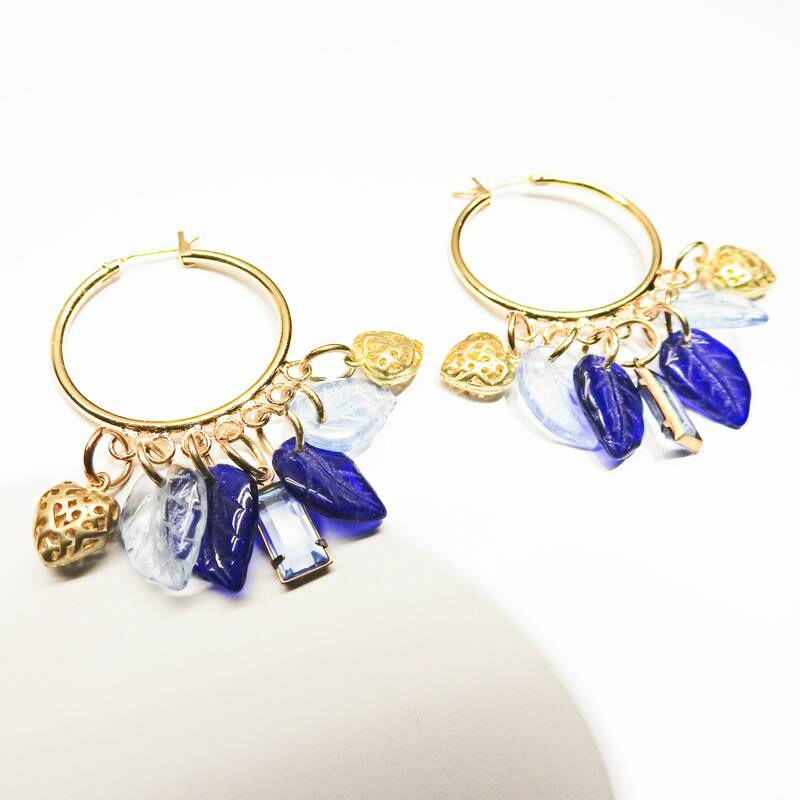 Meet your new stunning large blue hoop earrings with charm and blue beads. 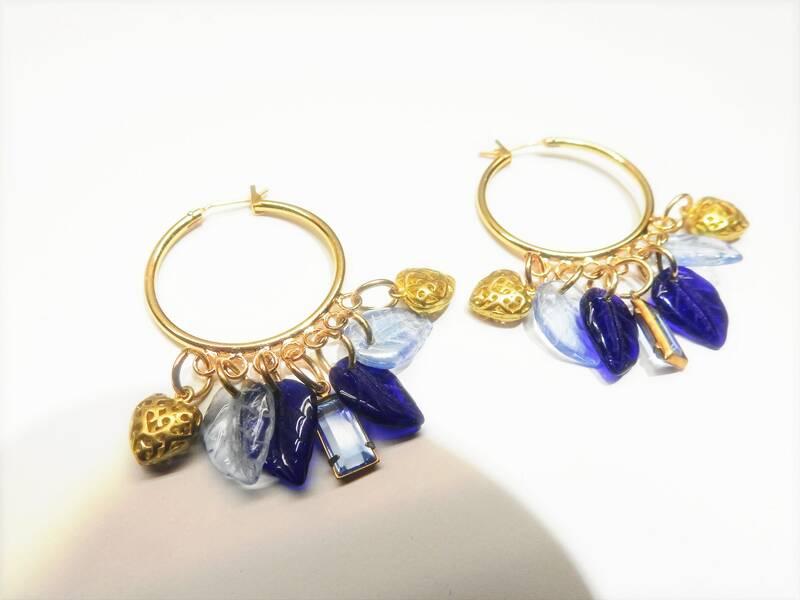 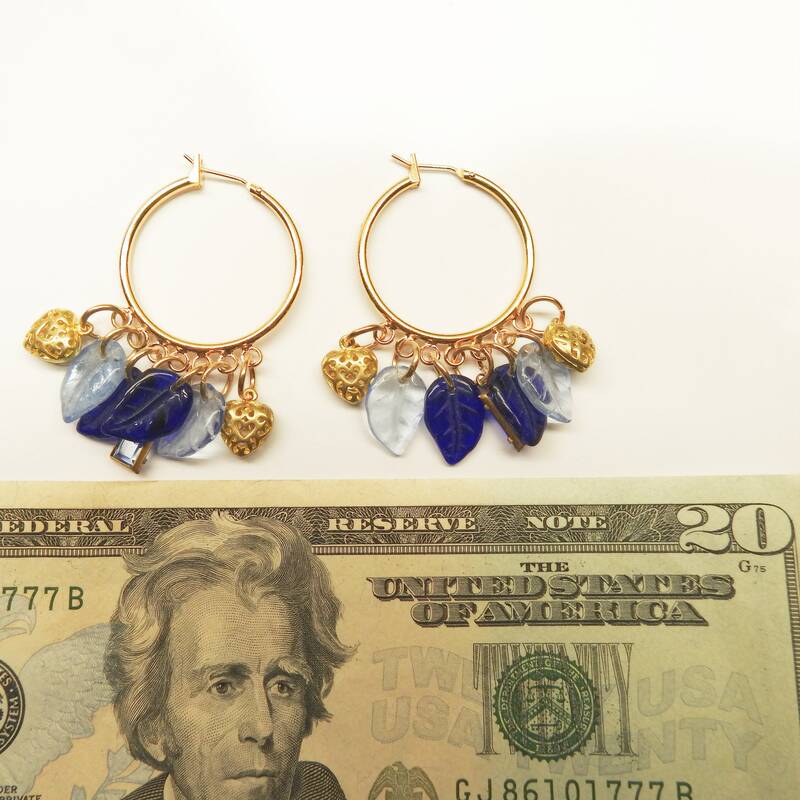 If you like playful drop down earrings, you will adore these heart hoop earrings! 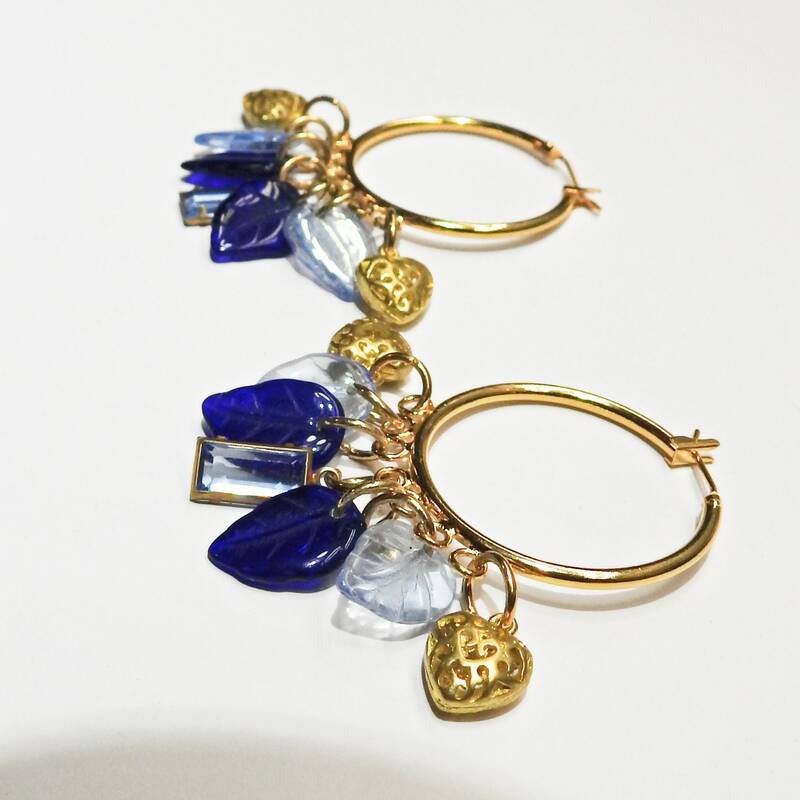 ● With charms, one vintage glass rectangular connector and blue leaf beads. 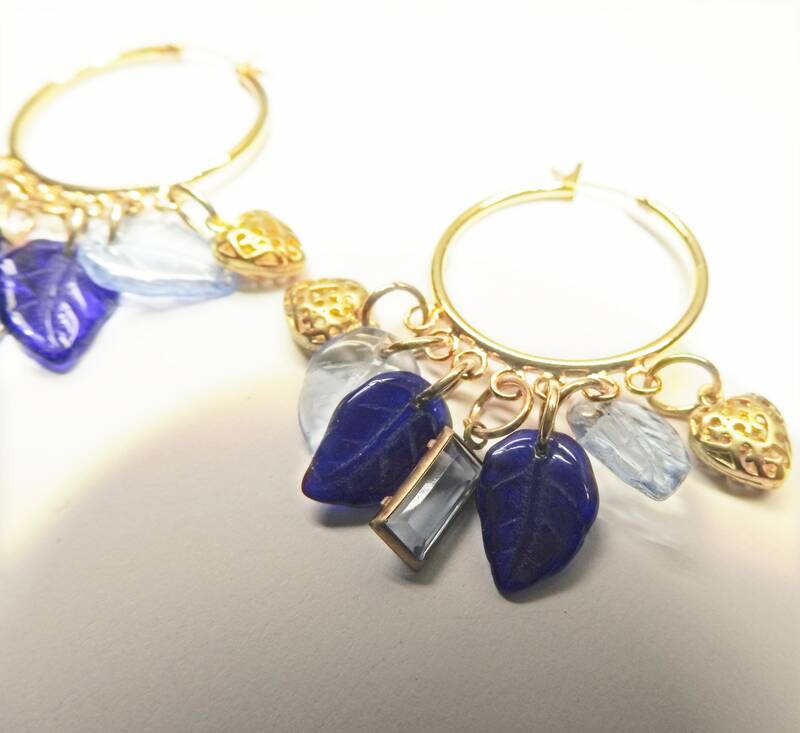 Thank you for exploring these dangly hoop earrings!